Important! 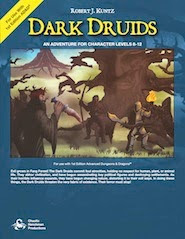 This is a new version of a module that was previously released in 2002 and 2006 for different game systems. If you have an older version, you already have most of the content in this new version. See the What's New & Different section further below for details on what's been added/changed in this new version. Evil grows in Fang Forest! 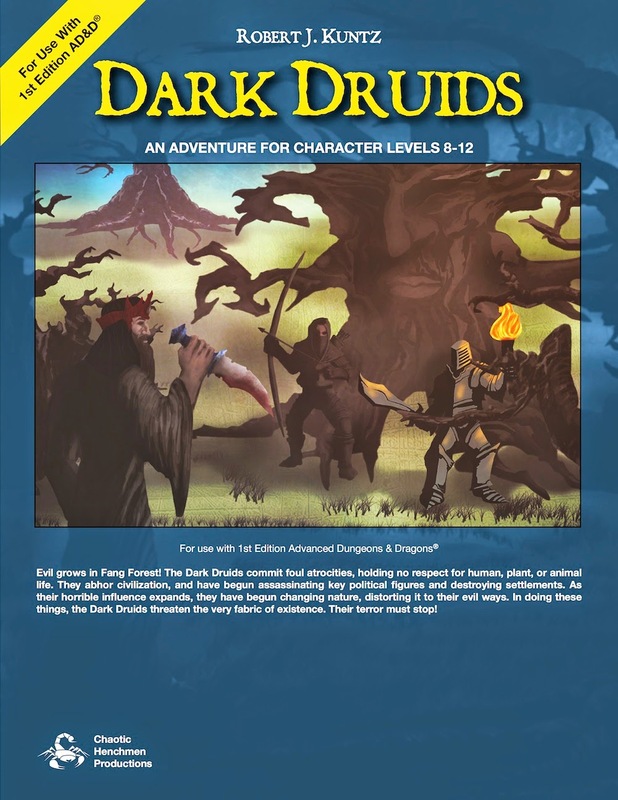 The Dark Druids commit foul atrocities, holding no respect for human, plant, or animal life. They abhor civilization, and have begun assassinating key political figures and destroying settlements. As their horrible influence expands, they have begun changing nature, distorting it to their evil ways. In doing these things, the Dark Druids threaten the very fabric of existence. Their terror must stop! Format: 56 pages, saddle stitched. Retro-style detached cover with maps on the cover interior. 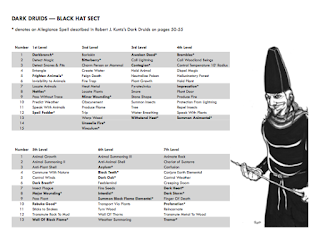 - Incorporates all the 2006 expansion material (see below). 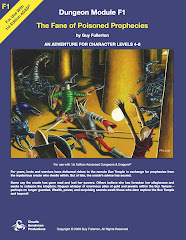 - Adjusts the mechanics & statistics for usability with 1st edition AD&D. 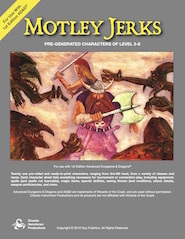 - Includes 40+ new illustrations, many suitable for showing the players, even if you run an older version of the module. 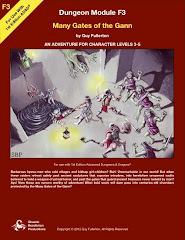 - Contains newly re-renedered maps that are clearer and more correct than prior versions. - Has been re-organized for better ease-of-use during play. Third times the charm for this adventure. I have the previous incarnations, but I cannot resist the additional material with this one. 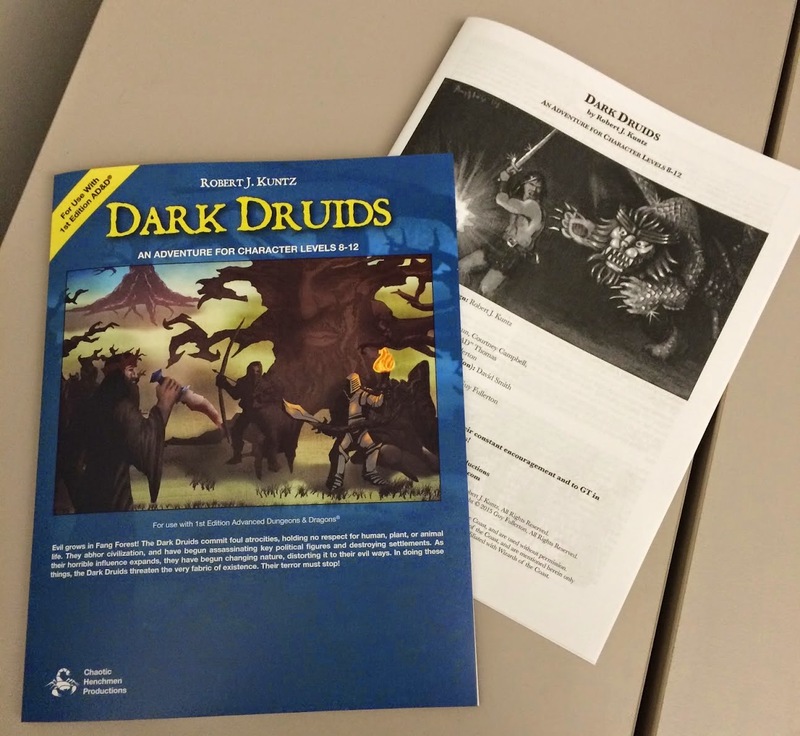 The new version of Dark Druids is great! Congratulations, Guy, on an excellent release!